Hand Weapon. 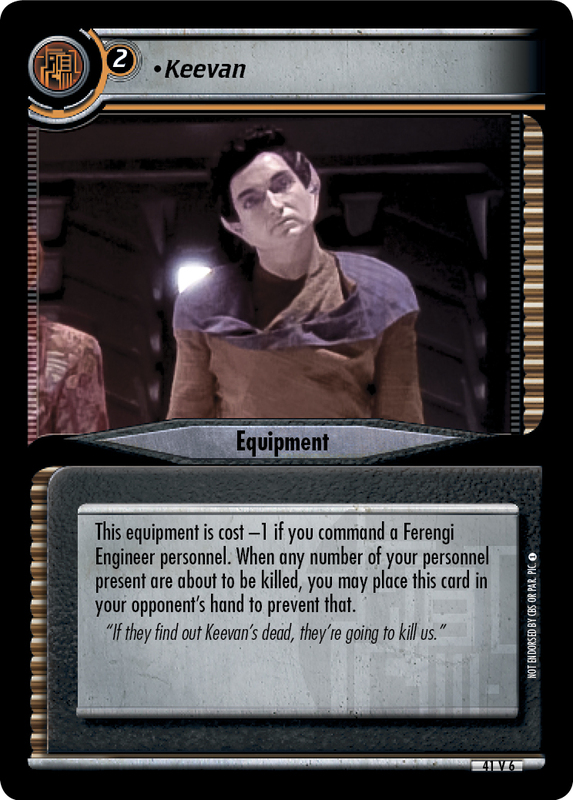 While in combat, each of your Breen personnel present is Strength +3. 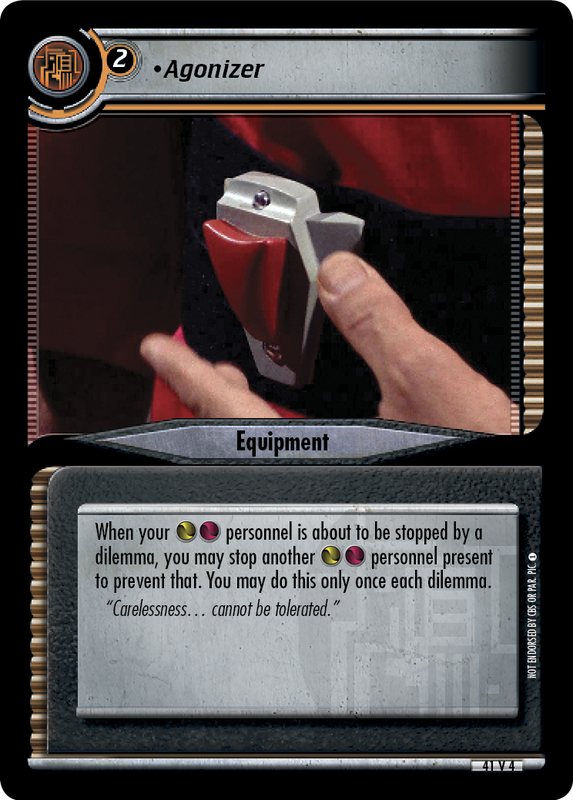 When any number of your personnel present are about to be stopped by a dilemma, you may stop your Smuggler present and remove this equipment from the game to prevent that. 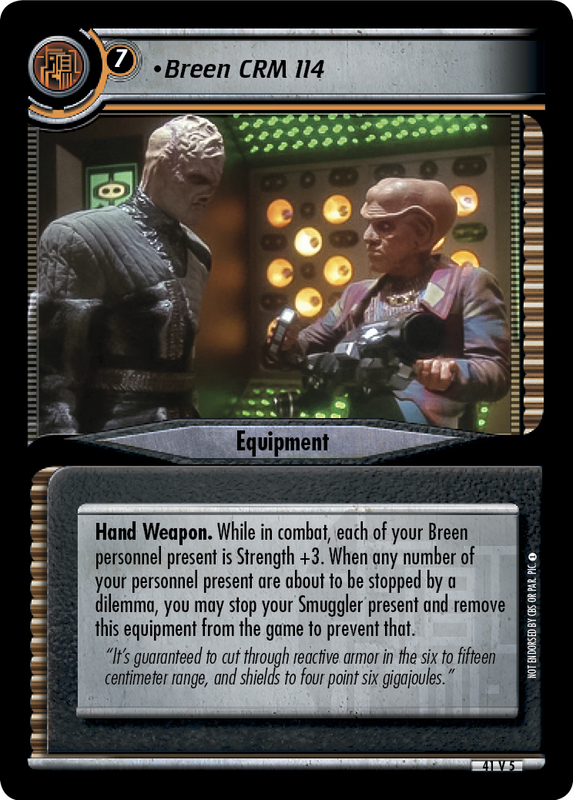 "It's guaranteed to cut through reactive armor in the six to fifteen centimeter range, and shields to four point six gigajoules."